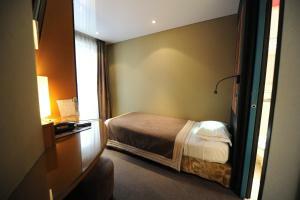 Set in a 16th-century building in the Marais district of Paris, Hôtel Du Vieux Saule is a 5-minute walk from Place de la République. It offers free WiFi and air-conditioned rooms. A flat-screen TV and a telephone are provided in each guest room. Some of the rooms include a minibar. Each room has a hairdryer in the bathroom and all of the rooms are serviced by a lift. Enjoy a buffet breakfast every morning in the arched stone cellar at Hôtel Du Vieux Saule. Temple Metro Station is 500 metres from the Hôtel Du Vieux Saule, providing direct access to the Opéra Garnier. The Arts et Métiers de Paris museum is a 7-minute walk away. 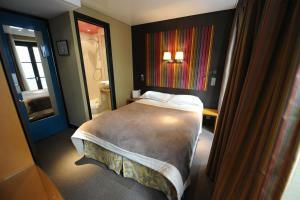 Located on the street side, this air-conditioned room features a minibar and a safe. A private shower is provided. Rate: € 115.00 ... € 387.00; select dates below to get current rates. This queen size bedded room features a minibar, flat-screen TV with international channels and a safe. It also provides a bathroom and it is facing the courtyard. Twin beds can be accommodated on request. Rate: € 145.00 ... € 387.00; select dates below to get current rates. 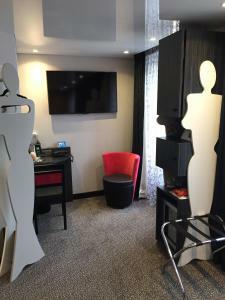 These larger double/twin rooms have a view of the street or a courtyard and feature a flat-screen TV, safe and tea and coffee making facilities. The private bathroom includes a bath or shower. Includes tea and coffee making facilities, satellite TV and a queen-size bed. 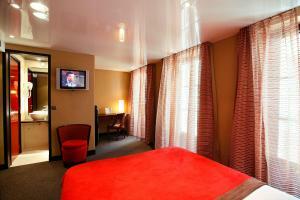 This twin/double room has air conditioning and a TV with international channels. 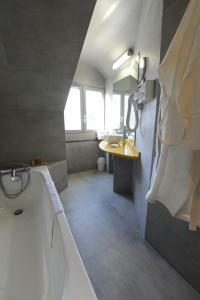 It also provides a bathroom with shower and it is facing the street. 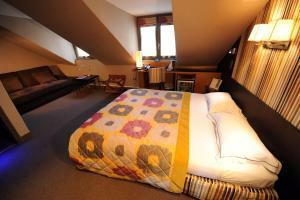 Twin beds can be accommodated on request. Rate: € 135.00 ... € 387.00; select dates below to get current rates.